A collection of the best flyers, conference flyers, business cards. We picked up the best business Photoshop templates of this year and we created a collection. We selected the best flyers for conference, corporate brochures and business cards, the most attractive template designs for your company. 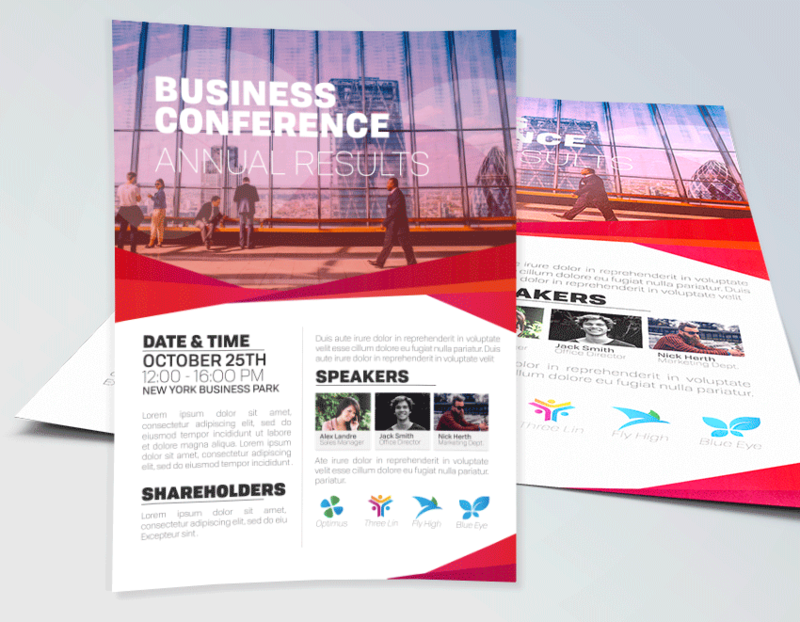 New Business Conference Flyer Template for any corporate conference purpose. It is also available for any event or education/personal conference. Colorful and clean design in high definition. You can change the colors easily. Download this conference flyer PSD template here or click in the image. 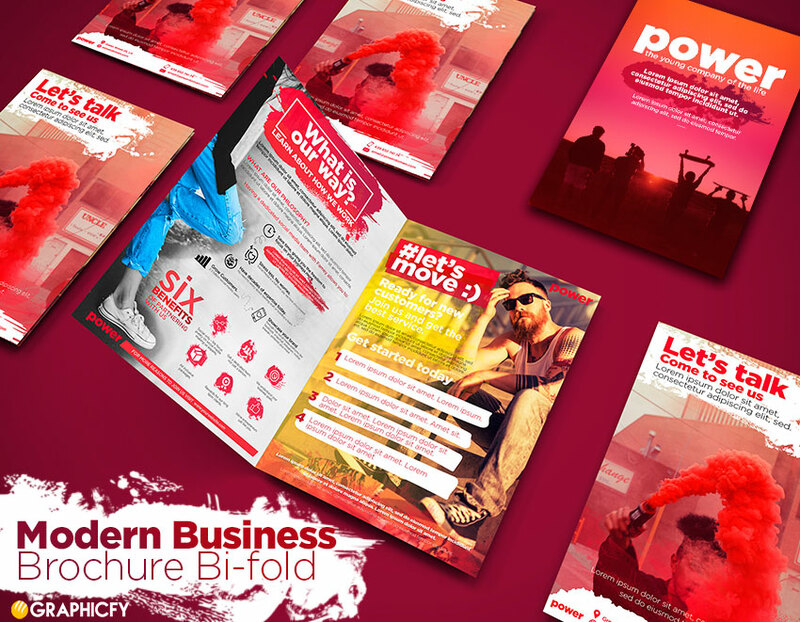 Catch the attention and new customers with this modern business brochure bi-fold template. Colorful, atractive, modern design. Perfect for a StartUp company or a new modern corporate. All the images you can see in the demo are included in the file. The business brochure template has a 300 DPI resolution. Innovative corporate design used for all business purpose. Premium and exclusive result. The brochure design contains 4 different A4 templates. The brochure is a A3 Bi-Fold which becomes in a brochure A4 size when it’s folded. Click in the image or here to download.